At the time of writing, the UK is experiencing a heatwave. But we know what to expect. People go from complaining about the cold to complaining about the heat, newspapers print pictures of people crammed onto Brighton beach and small children jumping into fountains. And then it's all over and we go back to complaining about the rain again. 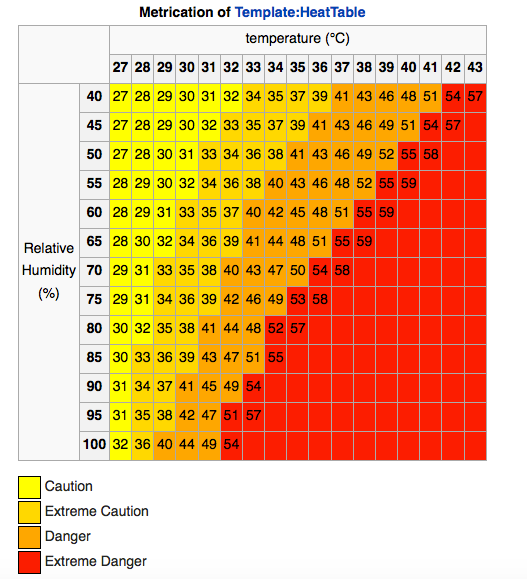 But hot weather can also be dangerous, even in the UK, with older people the most vulnerable. At the moment there are 2000 excess deaths attributed to summer heat each year. One study estimated that on current trends this would rise to 12,500 by 2080. And there are parts of the world where extreme heat is even more lethal. Extreme heatwaves are actually the largest cause of deaths annually, when compared to other natural catastophes such as hurricanes and floods, and their threat is increasing as global temperatures increase. Just in 2003, a heatwave struck in Europe killing over 70,000 people throughout the continent. In the UK it broke the record maximum temperature: 38.5°C. More recently, in 2010, an average of 700 people died per day in Moscow, Russia due to an extreme heatwave and associated wildfires, leading to 55,000 fatalities. Iin India and Pakistan temperatures are soaring to near (or even over) 50°C during summer heatwaves that have become more frequent, despite a smaller-than-average increase in mean temperatures compared to the rest of the world. These kill thousands annually. As climate change also appears to be delaying monsoon rain, heat and drought become a deadly combination. A recent study published in the Nature Climate Change journal showed that 30% of the world's population already face 20 days of potentially deadly heat. By 2100, it is expected that half of the global population will face a month of sweltering heatwaves annually, even if the world manages to keep temperature rise under 2°C. The animated graph below shows how a relatively small increase in average temperature can lead to more frequent and severe heatwaves. How do heatwaves affect us? When the human body reaches 40°C (104°F), internal organ damage and increased heart stress begins to occur which can be fatal as your body reaches the "ambient temperature", and with an increase in the frequency and severity of heatwaves, more people will be at risk. It is not only high temperatures, but also increased humidity, which are combined into a "heat index" that gives the human-perceived equivalent temperature (how the temperature feels to a person in the shade). Humidity makes it much harder to cool down through sweat evaporation. Thus in regions of the world with high humidity, such as the tropics, people are at a much greater risk from heatwaves, as the humidity compounds the effects of increasing temperatures. Extreme temperatures from heatwaves compromise the body's ability to regulate its internal temperature, and high relative humidity levels compound this; this can result in heat exhaustion, heatstroke, hyperthermia. They also exacerbate existing chronic conditions such as cardiovascular or respiratory diseases. As such, figures gained from looking at medical records tend to be underestimates as to how many are truly affected by a heatwave. The tragic recent deaths in Portugal highlights yet another way that heatwaves have a human toll: the exacerbation of wildfires. Sixty-four people died in one of the deadliest outburst of widlfires in Portugal's history as 156 fires broke out in the Coimbra region. Poor forest management has exacerbated the risk, climate change has played a significant part. While wildfires are an annual occurence in Portugal, the normal "wildfire season", which is just 2 months long, has lengthened to 5 months this year, while a heatwave that had immediately preceded them played a part in raising temperatures even further to beyond 40°C, leading to ideal conditions for massive wildfires. Wildfires have also increased elsewhere in the world, such as central and southwestern USA, with California particularly at risk, due to increased temperatures and drought caused by climate change. Heatwaves are a reminder of humans' ultimate vulnerability to our environment - and how we are shifting this dangerously through our addiction to fossil fuels. As temperatures in the UK return to 'normal', let's not forget that. 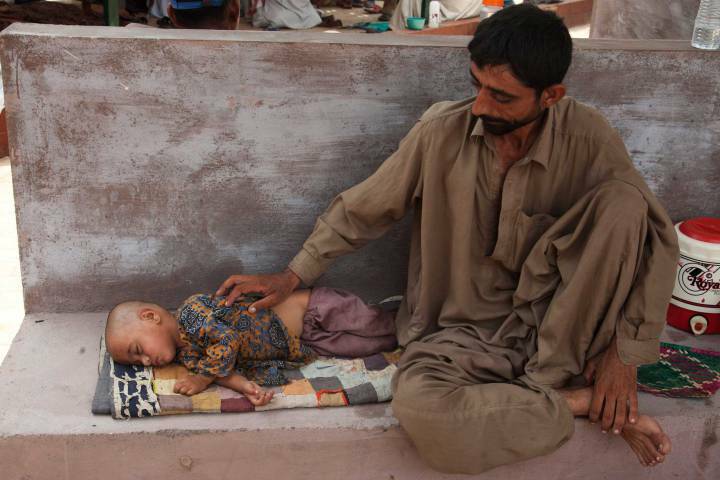 And perhaps our national inability to cope with temperatures in the low 30s will make us think again about the experiences of those in countries like Pakistan and India where temperatures have been reaching highs of 50C or more. One thing's certain, even if we keep global temperature increase below 2C (currently looking unlikely), there will be a dramatic increase in the proportion of the world's population exposed to extreme heatwaves - over half of us by 2100.